The Horror Movie BBQ: Times Square...ETERNIA?!?!? Times Square. The Big Apple. Gotham City. The Entertainment Capitol of the World. New York City is not just a perfect background for 1980s Christmas movies but also a proverbial melting point of all races, genders, religions from all over the world. Bringing together the finest folks this world has to offer and sometimes the not so finest. But that's ok, NYC is one of the finest places you could ever ask to visit and to experience complete madness! All that hype aside, Times Square earned it's name of "Crossroads of the Universe" on one fateful Friday in October of 2002. 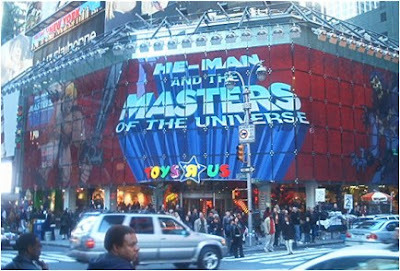 The legendary Toys R Us in Times Square brought together three of the most powerful names in the galaxy (we'll get to them in a moment) to officially kick off the 200X MOTU line, a line that had been hyped for quite a while by multiple toy publications, Cartoon Network and Mattel themselves.This was the second coming of He-Man and fans were going crazy! But not as crazy as the fans in Times Square this fateful day. Now, I previously mentioned some pretty powerful names that came together for this event. But who were these folks that were an almost Hulk Hogan and Randy Savage level of Mega-Powerness? Who? Who? No. You're not under a spell of Evil Lyn. This is not a rib from Bruce Prichard. This is not an April Fools Joke. THIS IS REALITY PEOPLE. 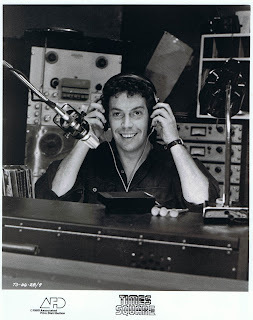 THE LEGEND...and some random local DJ that isn't Tim Curry as Johnny Leguardia. The angle of this mega event was to give fans a big first look at MOTU, meet the fantastic artists and sculptors behind the figures, The Four Horsemen, and get a show. 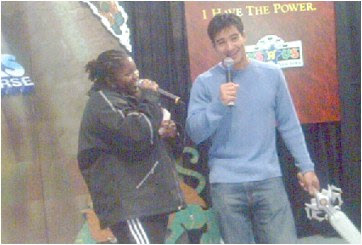 And a show they were given. 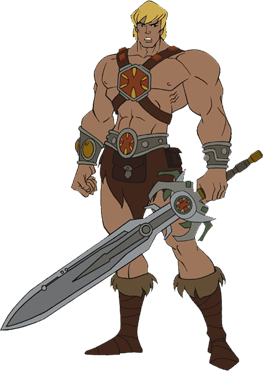 Earth hero Mario Lopez was brought in to introduce our intergalatic hero and his boneheaded villain as well as discuss his love the legendary defender of Grayskull, which he apparently did over a very microphone set on the lowest setting. Sadly, no dance moves or headlocks by Bayside's number one stud. This was all a different Mario today. Fun loving, yet focused. No time for ripping up Raiders tickets and break dancing in a tutu when the galaxy was at stake. 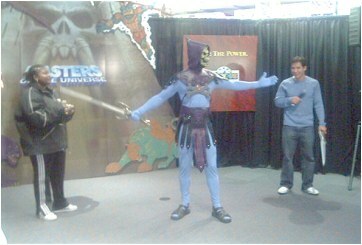 Skeletor and He-Man came out to exchange words and finish what they started last time we saw them. Remember when they claimed their legendary sword fight in the live action movie was their final battle? Lies. They clearly saw the future and the future was now. Times Square provided the perfect backdrop for what could be the greatest battle since nWo vs Team WCW at the War Games in 1996. 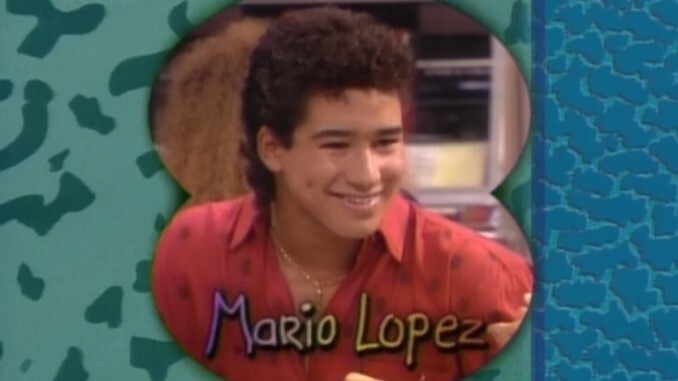 With AC Slater as the impartial referee and peacekeeper, it was time to determine who truly was The Master of the Universe. Were we doomed to worship a giant bodybuiler on a roided up Smurf body? 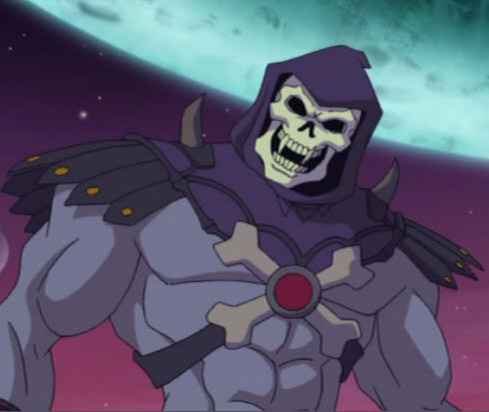 Was our hero to defeat Skeletor once and for all? Emotions were running high this day, and the battle finally ensued. After a while, Skeletor, rightfully so, surrendered. 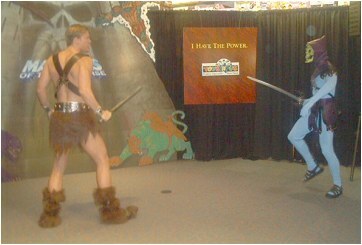 Clearly the power of inflatable swords while wearing sandals was a little too much for Keldor to tolerate. 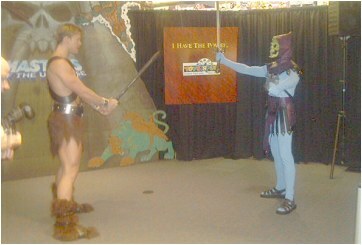 He-Man accepted Skeletor's white flag, most likely not wanting to hurt the young audience who were there to meet their hero. 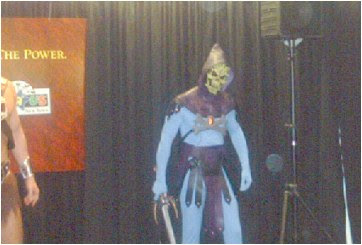 While admirable yet foolish, I can't help but to think Skeletor had something up his sleeve. But no. He knew what hills to die on. Skeletor probably took a look outside and realized if he had a plan, about 47 Yankees fans outside would beat him down and shove those sandals where the sun don't shine, all while eating calzones. 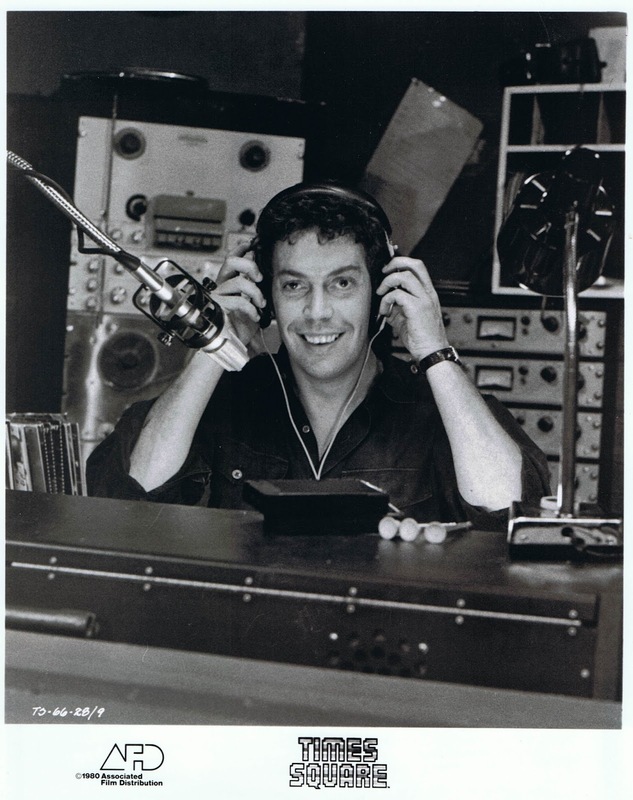 A lot of fans who weren't in the loop at the time most likely don't remember this, since it wasn't broadcast from coast to coast or promoted heavily outside an ad on He-Man.org and a flyer in the store itself. But it's such a unique and silly footnote in the history of Masters of the Universe. 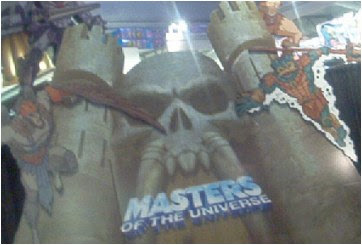 I'm sure a lot of stores did different promotional events over the years, but none brought together the power of Eternia and Bayside. Personally I didn't attend this event but a couple of my friends did and told me it was quite the absurd and wild afternoon that you had to experience in person to truly appreciate it. In fact, a week or so after the event my friend Ryan called me up, after discovering pictures being posted on a few sites and screams DO YOU SEE WHAT WE MISSED?!?!?!? Ryan will come up later, since he played a huge part in my love of this series at that time, but make no bones about it: Had we known in advanced, we would've been more than happy to drop dime on driving up from DC to Manhattan meeting He-Man, Mario Lopez and a sandal wearing Skeletor. Because who wouldn't? Much thanks to DinoDrac for allowing me to use these photos! Gclub Players can read and play at any time. Make bets easier. There are gamblers who will help to play more and get better returns. Gclub Online gaming sites that anyone can easily play this way. It can be played in all areas to play every day. Fun is a fun and easy way to gamble with a simple gambler. Professional Gamblers This will allow you to play more easily. This fun does not waste any time in gambling. This is a simple bet. Enjoy all areas. Everyday Betting Gambling can be played anywhere you want, wherever you are, wherever you are, wherever you are.